At CCON | COMIC CON GERMANY you can feel like DC Comics superhero Aquaman and prove your superhuman powers. 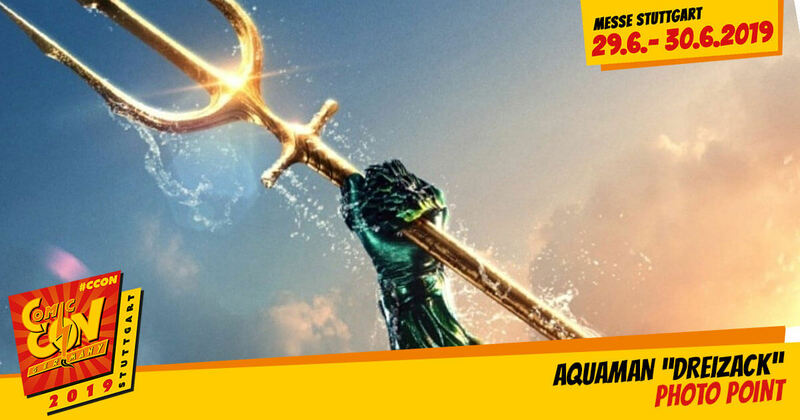 Just like in the hit movie of the same name, it’s your job to pull the trident of the first King of Atlantis out of the rock. Will you have what it takes? Your souvenir photo will be yours anyway.